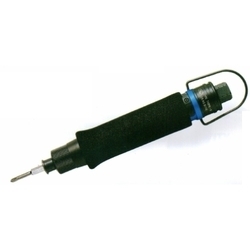 As a notable firm, we are committed to provide Pneumatic Screw Driver within the promised time frame. 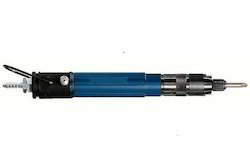 Air Inlet: 1/8 ", 1/4"
We offer air adjustable Air Screwdrivers with torque control. These are lever operated and are reversible. The two speeds available are 1600 rpm and 2500 rpm. These find useful applications in the electronics industry. Product Description: Pneumatic Torque Screwdriver with Externally Adjustable Torque. Title: Impact wrench with shut-off. Positioning: Torque can be set from outside on pulse mechanism.